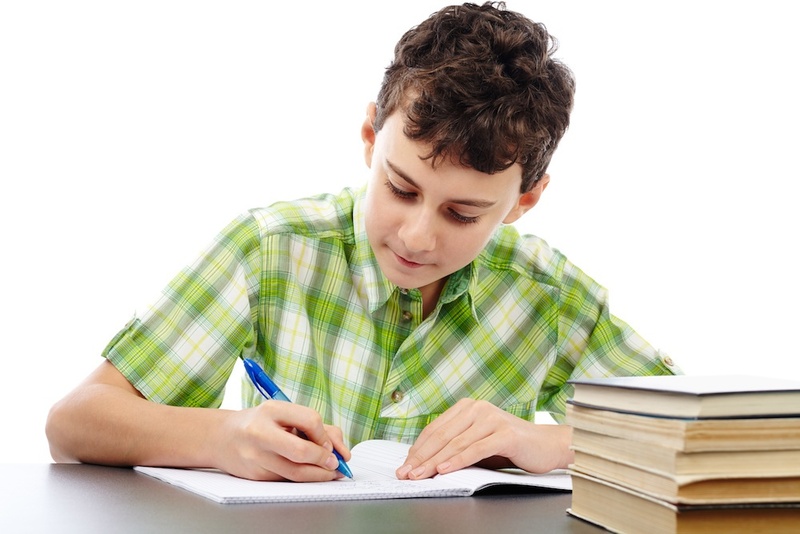 For kids with ADHD and learning disorders, simply doing homework can be a challenge. So doing it carefully and completely? That might feel impossible for an unfocused, overstimulated student. If your child races through homework, a little more hands-on support from you could change everything. If he would rather be watching TV or playing in the backyard than doing math homework, your child probably won't focus on fractions if he can see the TV or yard from his desk. If you haven't already, set up a distraction-free homework station and make it a rule that your child finishes his work before he leaves the area. Experiment with playing soft music, adjusting the lighting and using different types of chairs until you find the setup that helps your child concentrate the best. A child who's in a hurry to get homework done will rush through and do a sloppy job. Instead of letting him set the pace, use a timer. Set it for a period of time and explain that he should work on the given task for the entire time. If he normally rushes through a worksheet in 10 minutes, set a timer for 20 minutes. Then, if he finishes early, check to see if he made sloppy mistakes. If so, he can fix them during the remaining time. If he does good work and finishes early, he can use that time for something fun. Kids with ADHD and learning disorders are often exhausted by the time the school day ends, just from the effort it takes to function in a classroom. In order to do their best work, they tend to need plenty of breaks. Give a 30- or 45-minute break for him to play and snack right after school. When homework time starts, give a five-minute break for every 20 minutes of work. A child who's eager to move on from homework time may look over assignments and declare them done, without noticing spelling errors and sloppy writing. Comparing those assignments against a homework checklist makes the mistakes easier to spot. Make a list that's tailored to your child's needs. It might include things like "wrote my name at the top of the assignment," "checked that I answered every question" or "printed my answers neatly." Knowing he's going to have to complete a checklist when he's done should remind him to do the assignment the right way the first time. Finally, remember to give lots of encouragement and praise! Homework is a real struggle for these kids, so celebrate every success.